Thank you to the author, Rachael English, for sending me an advanced proof of this book in return for an honest review. 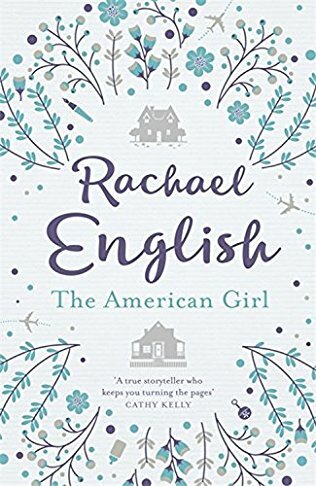 The American Girls tells the sad and courageous story of Rose, who is daughter to Irish Parents living in America in the 1960's. When Rose finds herself pregnant at the age of 17, her mother and father decide to send her to Ireland to have the baby in a mother and baby home, so that she doesn't bring shame on the family. Alone, in a strange country, Rose gives birth to her daughter, who is eventually taken away from her. Fast forward to 2013 and we meet Martha, whose life has come undone so much that she doesn't even recognise her own life anymore. Her marriage is over and her husband has wasted no time in moving on and settling down with another woman. The only person that she has now is Evanne, her teenage daughter, who has out her under immense pressure to find her birth parents. The search for the woman who gave her up all those years ago leads Martha on an emotional journey that takes her all the way to Boston and back again, unearthing deeply buried family secrets in the process. This book came into my life at a time when there was a lot happening in my life, and I'm not sure if it's because of that, or just because the book was so well written that I felt every emotion in the book, making it nearly painful to read at times. But, no matter how painful it was, I couldn't seem to draw my attention away from it, spending hours laughing and crying at the story that was unfolding in front of me. As mother and baby homes have featured in the news recently, telling horrific stories, reading this book at the same time made it all the more real and the characters all the more relatable. The main characters in this books, especially Rose and Martha, are so authentic and believable. I loved how they are so clearly created out of love and without them, the story wouldn't hold half of the plausibility. I wanted nothing but the best for these characters and I laughed and cried along with them. From the very beginning of the book, I felt every emotion that Rose was feeling and I was blown away by the bravery and courage of the character. Cat, Martha's best friend and Evanne, bring a lighthearted element to the book, making me laugh with their brilliant one liners. The cover of this book is so eye-catching and beautiful, and even though you're not supposed to judge a book by its cover, I adored this one. The story line was absolutely heartbreaking and at times was very difficult to read, but what kept me reading was the realisation that this is real life for some people. Even though I've read a few books that follow a similar story line, this is the first one that I have read that goes inside the home and tells what it was like for the girls who had to live there. I have fallen in love with books that move back and forward through times, so I knew from just reading the blur that this book would be a winner for me. However, I had no idea of what a rollercoaster of emotion I'd be taken through in my time reading this book and I loved it even more that I could have imagined. 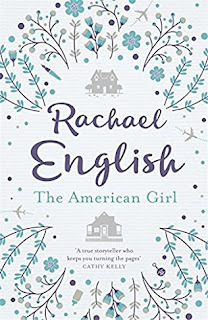 It's not all sad, as there are many parts that had me laughing out loud, and there is the perfect balance of happiness and sadness within the pages on The American Girl to keep the reader interested. The American Girl is a heartbreaking story, that will leave you with a lump in your throat and a tear in your eye. Moving back and forward through time, it tells the courageous story of two women who are trying to come to terms with what has happened in their lives. This book tells the story of family and friendship and why both are so important. I really can't recommend this book enough. Rachael English is a presenter on Ireland's most popular radio programme, Morning Ireland. She lives in Dublin, but was born in England and grew up in County Clare. Her first novel, GOING BACK, was shortlisted for the most-promising newcomer award at the 2013 Bord Gáis Irish Book Awards. 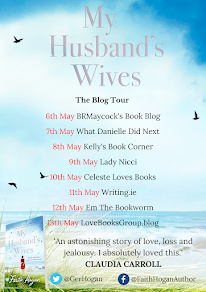 Her second book, EACH AND EVERY ONE, was published in September 2014, and like GOING BACK, was a top five bestseller in Ireland. Her third book, THE AMERICAN GIRL, will be published in 2017.